Obviously, flowers never disappeared from textiles - a material that appears in various versions in the exhibit: Eva Steen Christensen placed a giant Arabian carpet in the middle of the main gallery space and cut leaf patterns in the shape of blossoms out of the fabric. By moving them up, she creates buds bursting out of the flooring. The co-existence of destruction and construction, or rather construction through destruction, is also apparent in the three pieces by Aiko Tezuka. 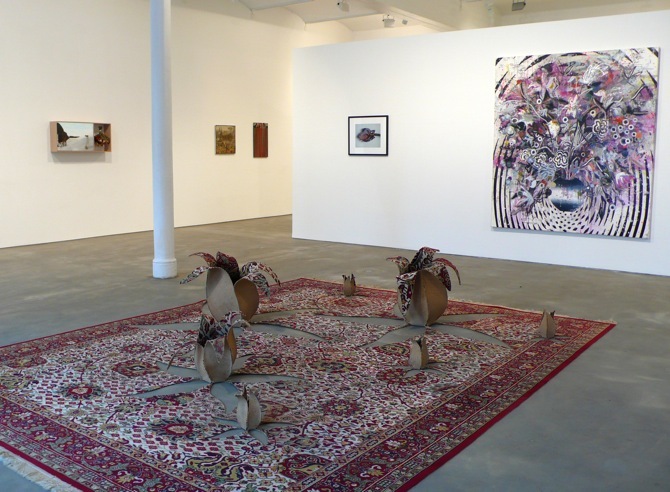 Her main work, a large piece of floral fabric, has been ripped in two pieces, while the long and colourful threads still expose the process of rupture. 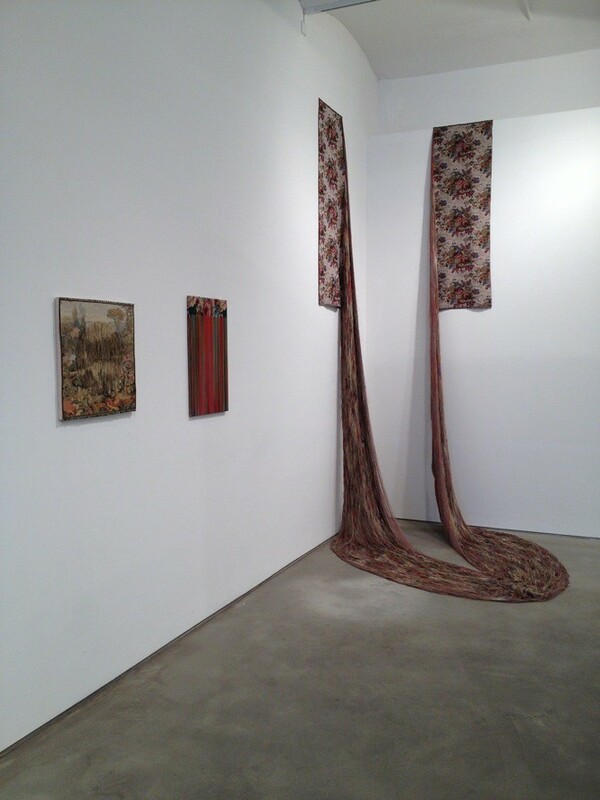 Luzia Simons created a scanogram, which is a technique often used to create silk prints for fabrics, of dark and half decayed tulips. 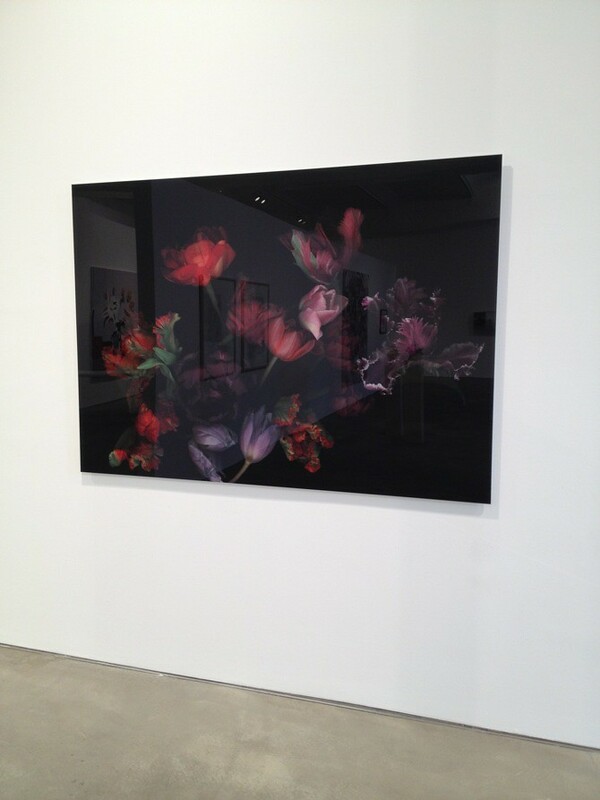 The process of decay and the ephemerality, are perhaps the most popular connotations with flowers within the arts. Fleeting beauty and vanishing opulence are also subjects in an installation by Lars Bjerre, who placed a small scenic painting and a dried flower bouquet inside a wooden construction. 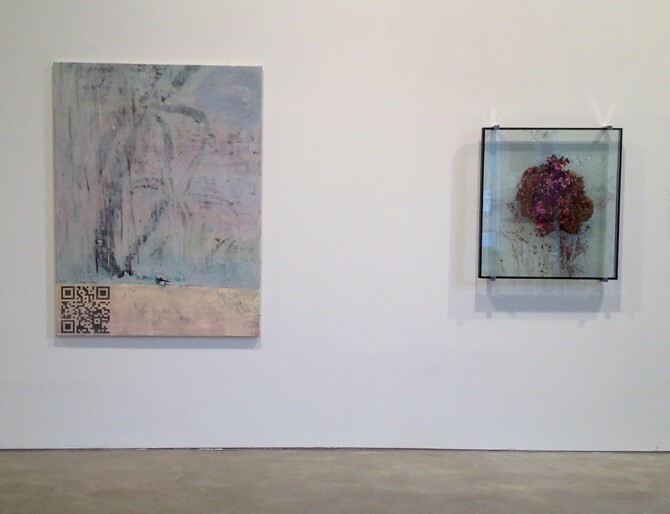 Similar to a memorial, the dried flowers resemble those in the painting and act as an artifact for a forgotten memory. While the process of decay has already taken place here, Paula Doepfner wants the visitor to witness the transformation. 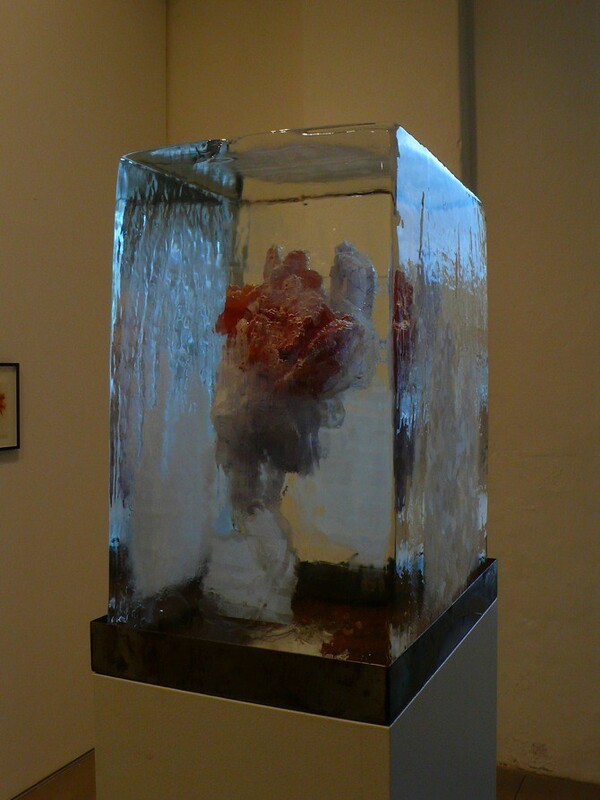 A frozen flower is surrounded by ice that slowly melts during the exhibition and eventually disrobing the blossom underneath. 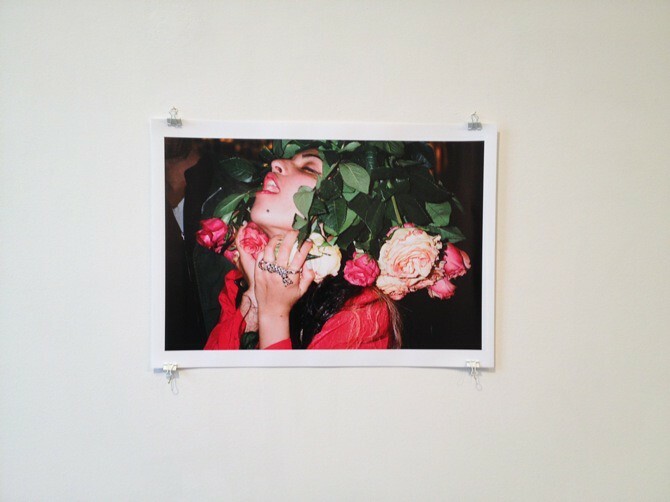 The eroticism involved in the the melting process of the ice is played out quite differently in Maxime Ballesteros orgiastic party-snapshot, which shows a woman who strikes a pose under dozens of roses. 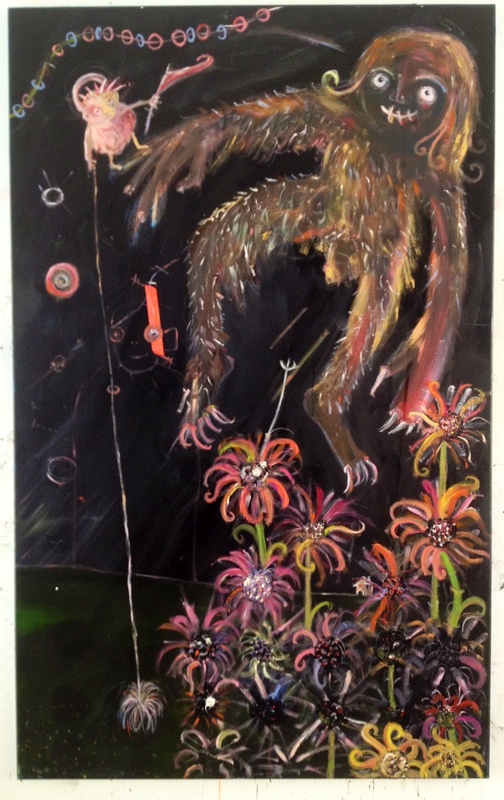 While they might have very different connotations now, compared to earlier times in the history of art, flowers do not necessarily need to be stigmatised. 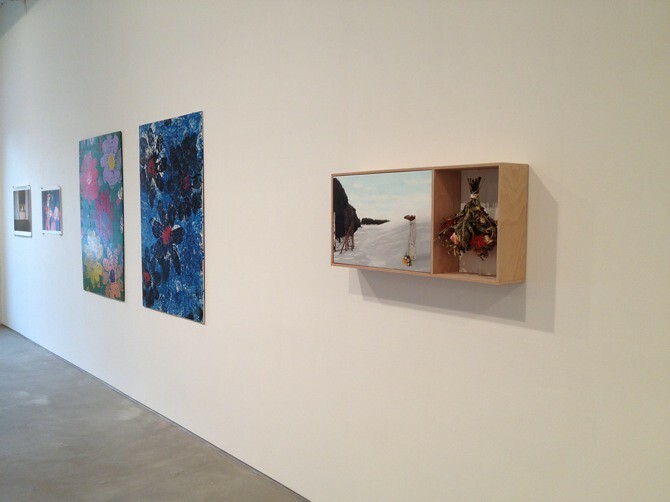 Søren Jensen found perhaps the most conceptual and similarly contemporary approach to the complicated sujet. 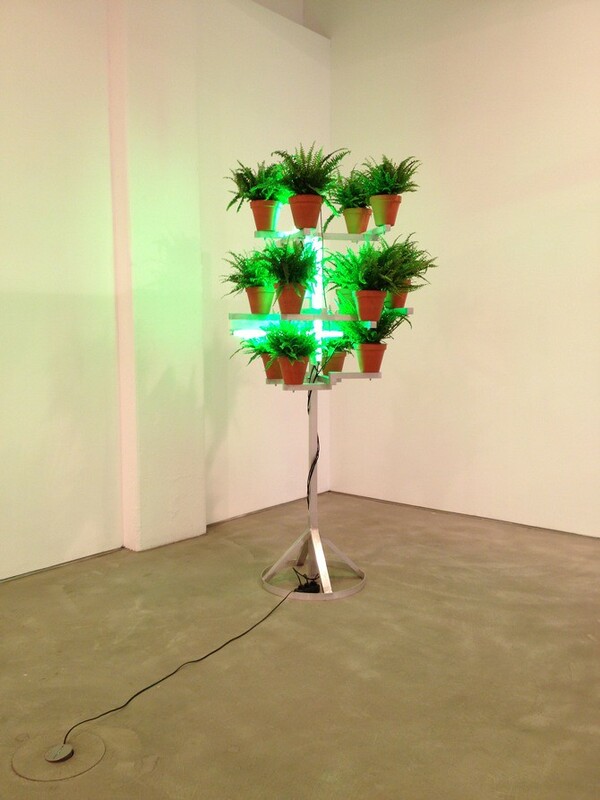 He re-contextualised a lamp and a couple of fern plants into a clean light sculpture. 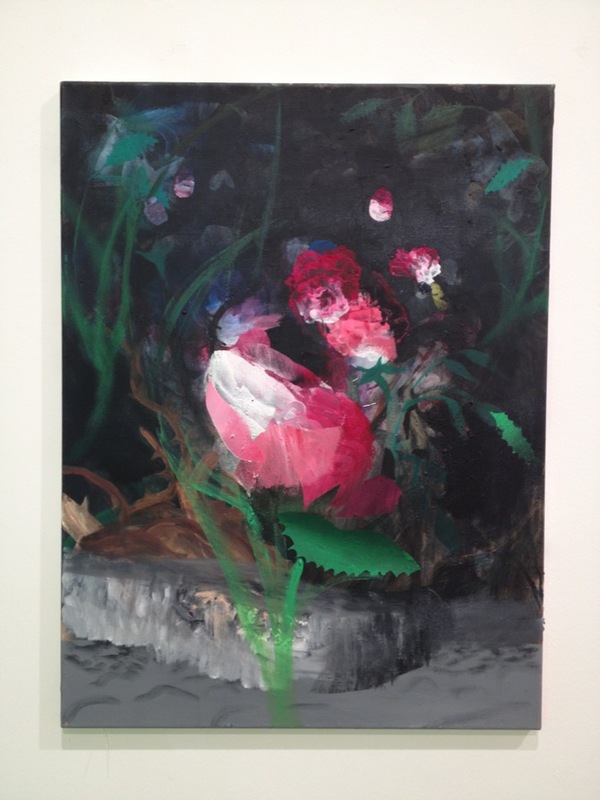 After all, there might still be a place for flowers in the contemporary - even if they lost their blossoms.